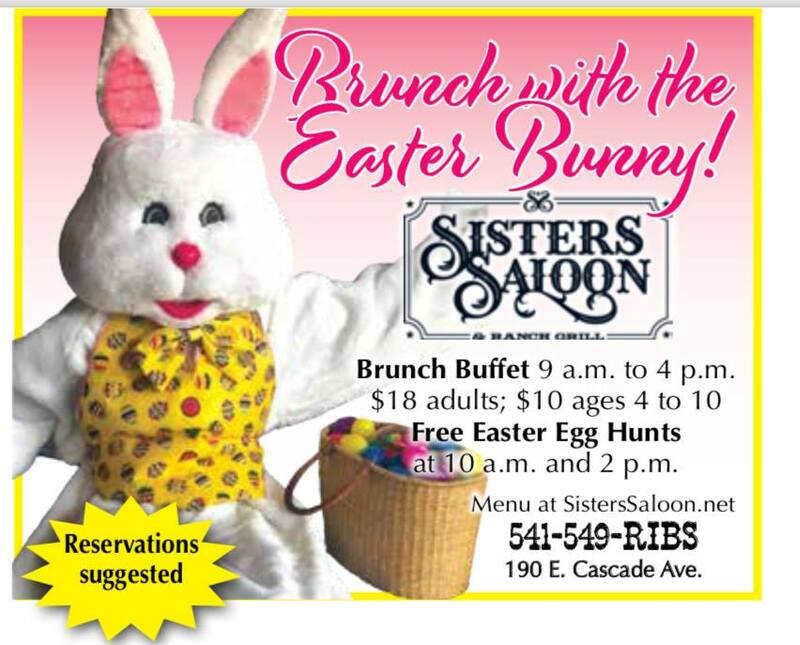 Here are the details for Sisters Saloon’s Easter Brunch Buffet. Use your own phone to take free pictures of your kids sitting with the Easter Bunny! There will be two free Easter-Egg Hunts for kids, at 10:00 AM and at 2:00 PM. The Easter Bunny will be available for photos from 11:00 AM to 2:00 PM.